Chicago, IL - Chicago Arts Partnerships in Education (CAPE - Young Audiences Arts for Learning's Chicago Affiliate) and Talcott Fine Arts and Museum Academy are pleased to welcome the Tianjin Peking Opera Company for a “master class” and possible performance with 6th grade students at Talcott, located in Humboldt Park, on Friday, April 11 at 1:45pm. The Tianjin Peking Opera Company carries on the distinguished tradition of Peking opera that originated in the late 18th century and features music, vocals, mime, dance, and acrobatics. The Company has been performing for nearly twenty years and will make its first visit to Chicago this week to perform three classic Peking operas as part of the Chinese Film and Culture Festival. CAPE and the Talcott community are thrilled to welcome the Troupe to Chicago and Humboldt Park. 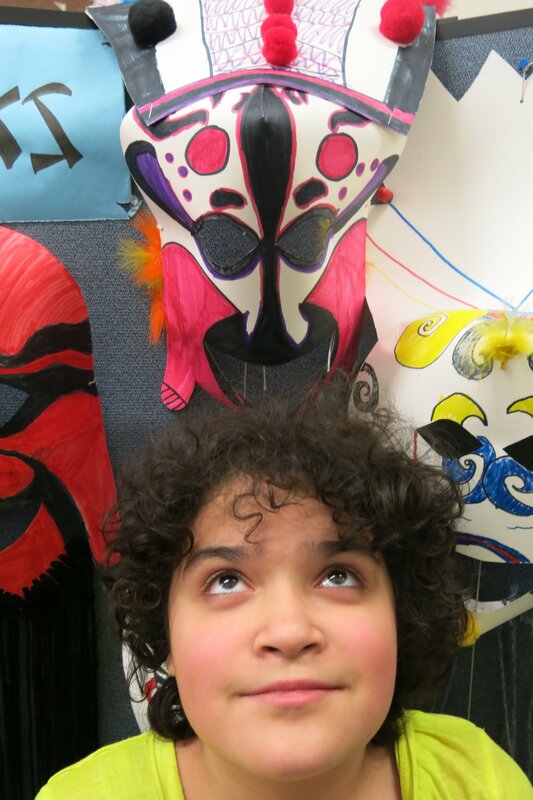 Talcott is one of nine CPS fine arts magnet schools currently participating in a 4-year CAPE program called the Portfolio Design Project (PDP). At Talcott, teaching artist Lisa Golda and lead arts teacher Aurora Carranza-Ramos have been working with 4th, 5th, and 6th grade teachers to incorporate musical composition, singing, and instruments into the daily literacy curriculum. In teacher Kristin Thelen’s 6th grade class, students are reading Bette Bao Lorde‘s ‘The Year of the Boar and Jackie Robinson,’ the story of Shirley Temple Wong, a young Chinese immigrant to the US who finds friends and acceptance in her new country through baseball. The students, who are primarily Latino, are simultaneously investigating larger questions about migration and exploring Chinese opera and mask-making to deepen their cultural and contextual understandings of events described in their reading. The Tianjin Peking Opera Company is in Chicago as part of “Envisioning China,” a five-month festival of Chinese arts and culture. The Company will perform at the University of Chicago’s Logan Center on April 12, with an additional free solo performance from Ling Ke, a star of Peking opera, on April 13. For times and tickets. CAPE inspires students’ passion for learning by bringing academics to life through original, creative lessons, developed by artists and schoolteachers, leading to improved grades and confidence. CAPE currently partners with 48 schools, 120 teachers, and 80 professional teaching artists to reach almost 4000 students across Chicago. Photos available. Please note, the event at Talcott is not open to the general public.